The frame of a new home is the backbone of the construction, holding everything in place - which is why frame materials like steel are worth research and consideration. Choosing building materials for the construction of your new home is one of the earliest steps in the home building process. Steel frames offer several advantages to that process, and we've outlined just a few below. There are lots of different costs in the manufacturing and installation of a steel frame that may affect the price. As a general rule, the raw cost of the steel is more expensive than timber, however on a fully installed basis you may find the finished cost of the total frame is similar to timber. Steel has the highest strength to weight ratio of any conventional load bearing framing system. With this strength, steel frames can meet the strictest building codes for wind requirements. 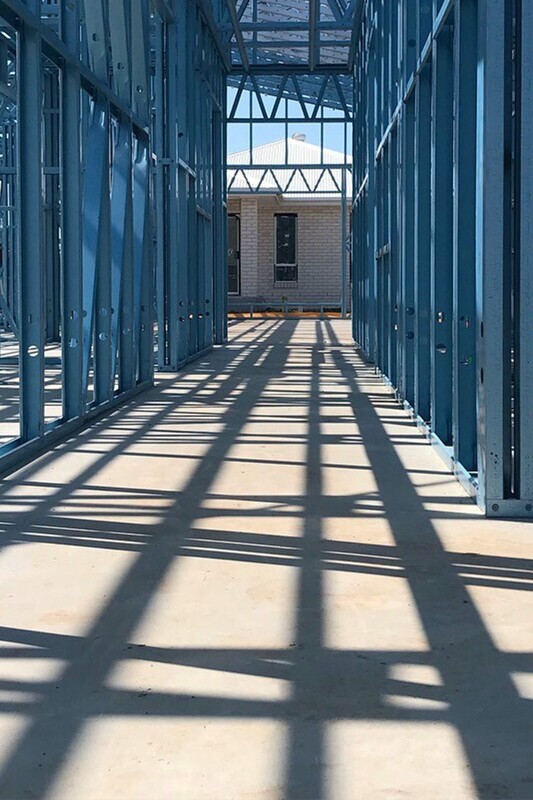 Steel frames are non-combustible and highly resistant to fire making it the superior material for new homes in bush fire prone regions. Steel also won't release smoke or carbon dioxide like timber frames would in the event of a fire. Steel is 100% recyclable making steel frames for your new home better for the environment than most other frames. Steel frames do not warp, shrink, buckle or twist and will forever remain straight, never changing in size.